Namaste; Be active in May and win a Lululemon Yoga Mat! Be active to win big!?? Congrats to our winners from last month’s? ?contest, Sony A and Tony M each received a pair of Evolv climbing shoes of their choice – pretty sweet, right? ? 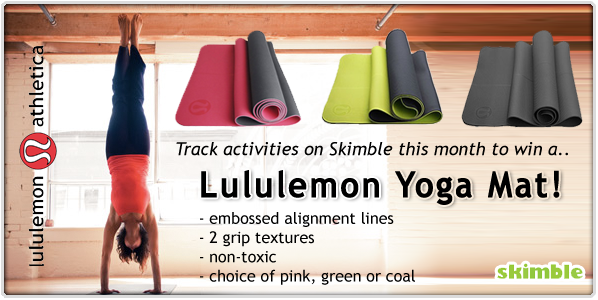 ?This month, keep tracking your activities on Skimble and you can win a Lululemon Align Yoga Mat, with several colors to choose from!?? Learn more ?? In the active community, Lululemon has been known for their appealing yet functional line of yoga??apparel? ?and active wear, and its no doubt we are big fans of these guys! ? ?Enjoy a session of “om” and embrace your downward dogs, tame those stressful days, and find better balance and alignment, especially with those helpful embossed alignment lines on these mats! ?? 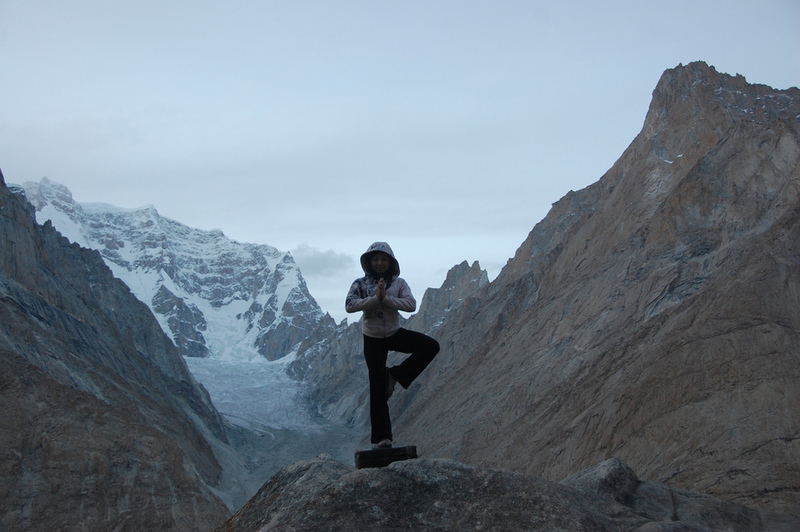 Remember, yoga can be done anywhere…like this Vrksasana (tree pose) on top of the Baltoro Glaciers, Pakistan. It’s time for you to add a little yoga to your life and remember to track your Yoga sessions or poses and 40 other activities on Skimble for a chance to be our next winner. On deck for June: his and hers summer adventure outfits from Mountain Hardwear! This entry was tagged skimbleyogalululemon. Bookmark the permalink.